Organisers of the Brussels Summer Festival and the Foire du Midi funfair, which both finished at the weekend, are celebrating strong results helped in large part by the weather. About 60,000 festivalgoers enjoyed this year's redesigned BSF, with a musical programme packed into five days instead of the previous 10, including a closing headline show on Saturday night from Thirty Seconds To Mars. 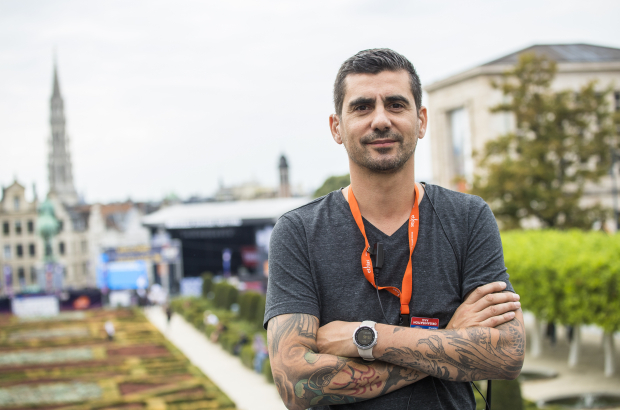 New festival director Fabrizio Gentile (pictured) said: "Everything went very well. Festival-goers were out in force from the very first evening. The five-day format has paid off. It's made the festival stronger, more dynamic, more intense." The 2019 edition is already confirmed for 14-18 August. "I think we reached an audience that did not come before," Gentile added. "The idea is to continue in this direction by diversifying audiences and mixing musical genres." Meanwhile, the 138th Foire du Midi funfair finished on Sunday after attracting an estimated 1.5 million visitors. The figure is back up to normal levels after a drop following the March 2016 Brussels terror attacks. Fair organiser Patrick de Corte said: "The weather was almost perfect - it was just a bit too hot at one point, but we did not really get any rain. The Belgian national holiday weekend and the closing day this Sunday were very good."